March with us on September 8 to demand Gov. 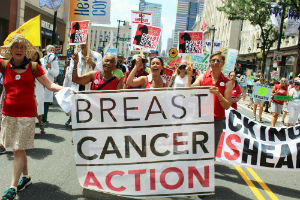 Jerry Brown stop fueling cancer! For far too long, fracking and other forms of oil and gas extraction have threatened our health and our lives. The time for action is now. That’s why we’ll be marching in San Francisco in 10 days! Save the date for a follow up action in the morning on 9/13, in case Gov. Brown doesn’t get the message. 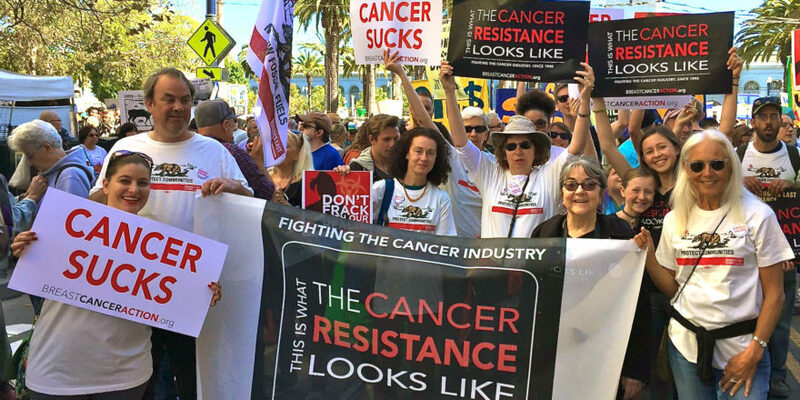 Join the #CancerResistance and march with me, along with other Breast Cancer Action staff and members, at the largest climate march the West Coast has ever seen. Click here to march with us in the “Brown’s Last Chance” contingent. Fracking and dangerous drilling practices harm our health, increase our risk of cancer, and contribute to climate change. At every stage—from drilling, refining, waste disposal, storage, and consumption—oil production exposes people to carcinogens and hormone disruptors, which may raise the risk of breast cancer. Put simply: fossil fuels are fueling cancer. Which is why over the past few months we’ve been asking you to join us and our Brown’s Last Chance partners in demanding Gov. Brown take action to protect our health and the health of frontline communities, before he leaves office. It’s time for Gov. Brown to stop issuing new oil and gas permits and commit to a just transition to safe renewables. It’s time for Gov. Brown to stop fueling cancer! Our lives are on the line. So we’re taking to the streets. Will you join us? Click here to RSVP to march with us Sept. 8. Hope to see you there. And stop by our resource table at Civic Center Plaza after the march! Learn more about the Brown’s Last Chance campaign and sign the petition. ← We’re All at Risk. Make Your Voice Heard!